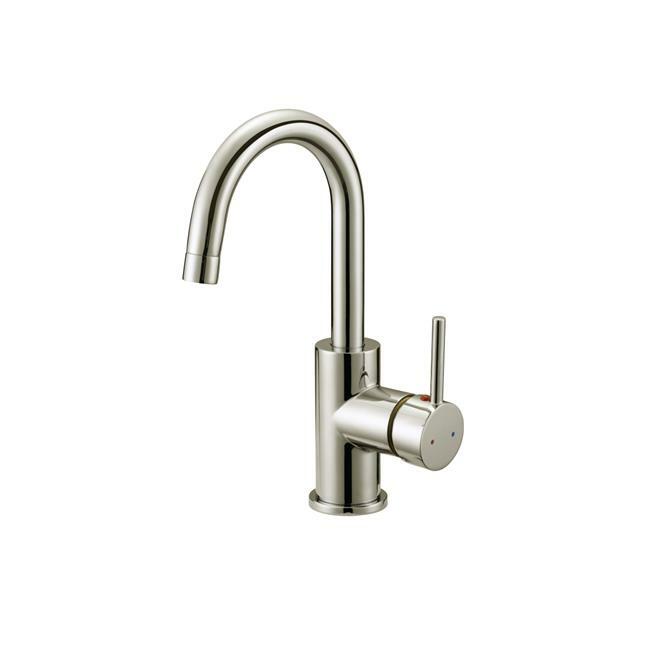 The Design House Eastport Single Handle Bar Faucet features a single handle design with 8 inch spout. Finished in brushed nickel, this faucet is refined and elegant with a ceramic disc cartridge that will ensure that the faucet will last. High-quality brass waterways contain zinc and copper which are known to prevent antimicrobial growth ensuring safe and clean water for your family. This faucet has a classic finish and sleek modern design to accent the comfort and style of any kitchen, as it is the centerpiece of any home. This faucet has a flow rate of 1.2 GPM @ 60 psi. The Design House Eastport Single Handle Bar Faucet comes with a lifetime limited that protects against defects in materials and workmanship. This faucet is CUPC compliant and meets EPA WaterSense high efficiency lavatory faucet specifications.